Local Construction Aggregates Build New YMCA Facility — Project Cornerstone, Inc.
Robertson's, a San Diego construction aggregate producer, was seen pouring concrete for the new Copley-Price Family YMCA in the Mid City community of San Diego. The facility is scheduled to open in January 2015. On-site, enclosed parking garage with 300 parking spaced and room dedicated for bicycles. The new Y will be a "Silver LEED" certified facility. Facility information courtesy of Copley-Price Family YMCA. 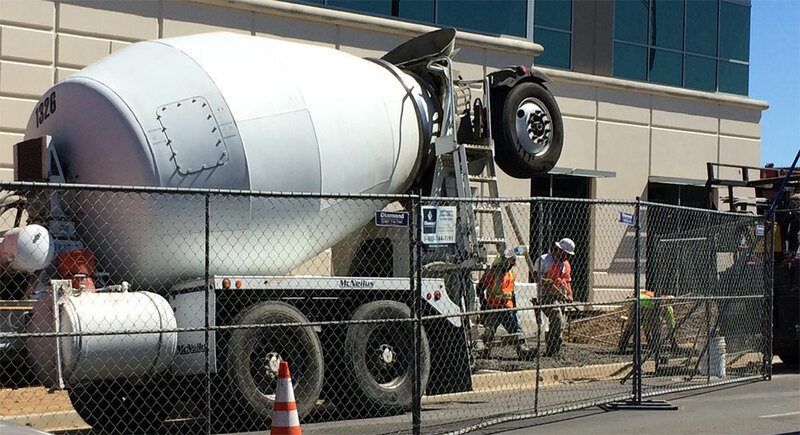 Send us your pictures of construction aggregates being used around San Diego County.